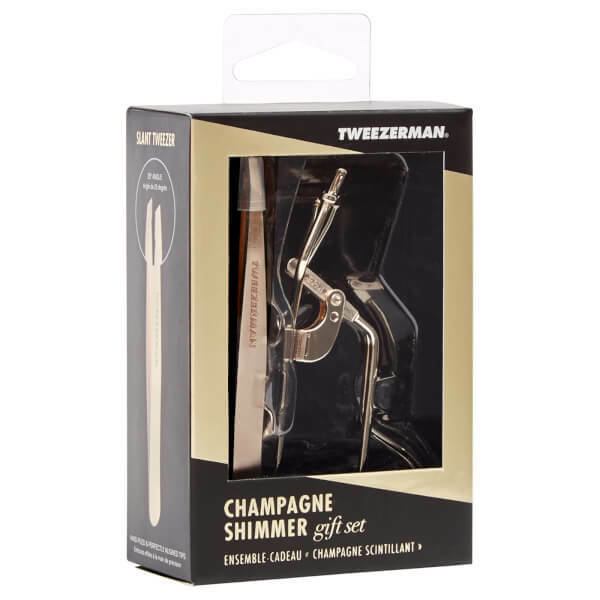 Tweezerman Champagne Shimmer Gift Set combines two grooming essentials for expert results. 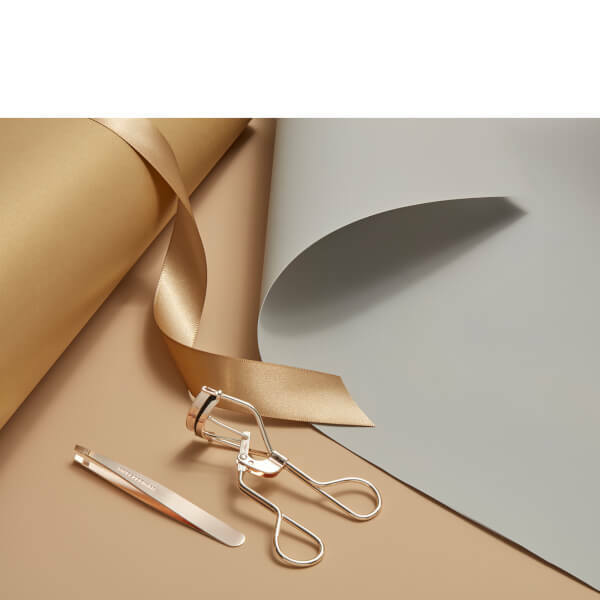 Enhancing the shape and curvature of your natural lashes, the expertly crafted, ergonomic eyelash curlers are fitted with a thick, rounded, hypoallergenic silicone pad that envelops the lashes, gently curling without crimping or sticking. Their sturdy construction and smoothing opening/closing action ensures they are easy and precise to use. Includes three replacement silicone pads. Tweezers: To ease tweezing, take a hot shower or use a warm washcloth to open pores. Always tweeze in the direction of hair growth to avoid breakage. To close pores post tweezing, use cold water. For expert results, never yank or tug on brow hairs - always use the precision tip to isolate, lift and then grab the hair from the root. Clean tweezer tips after each use. Do not sanitise the body of tweezer as the coloured enamel finish will wear off. 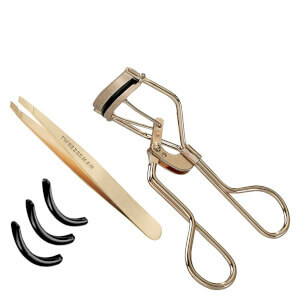 Lash Curler: Open eyes wide to insert and centre lashes. With curler pad positioned at the base of your lash line, hold handles firmly and gently squeeze. Hold for a few seconds, then open curler slowly to completely release lashes. Repeat for an even more intense curl. Always curl lashes before applying mascara. Clean lash curler after use. With daily use, we recommend replacing curler pad after three months.